The Arizona Republican Party blasted Clean Energy for a Healthy Arizona this week for not filing campaign-finance paperwork with the state related to November’s failed Prop 127 initiative. Jonathan Lines, state GOP chair, sent a harshly worded statement to the news media on Tuesday, suggesting the PAC — launched by California billionaire Tom Steyer — was unlawfully withholding its final report to the Arizona Secretary of State’s Office on Prop 127’s donations and expenses, and that Katie Hobbs, the newly elected Democratic secretary of state, was helping to keep the public in the dark. “I hope the Secretary of State’s office is preparing to send a strong message to the PAC. 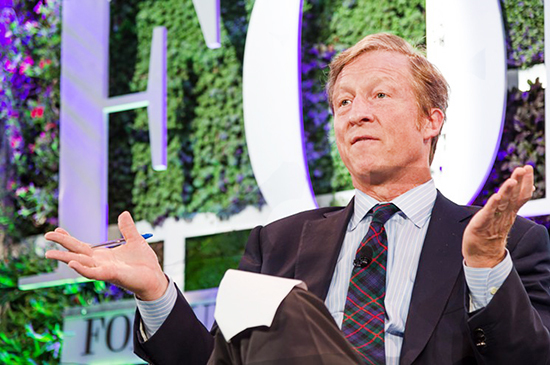 Otherwise, we will be forced to conclude that [Hobbs] is sweeping Tom Steyer’s violations under the rug as a ‘thank you’ for the millions of dollars he and the PAC spent on her behalf,” Lines wrote in the statement. 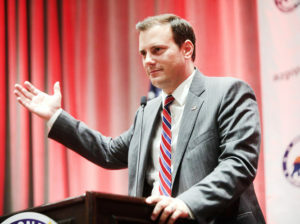 Hobbs’ office and Clean Energy for a Healthy Arizona tell Phoenix New Times that Lines’ complaint is misguided.